The white finish on the Windlowe 49 in. W x 22 in. D x 35 in. H Bath Vanity Carrara Marble Vanity Top will blend into any existing dcor style scheme. The durable wood that it is constructed with is easy to clean and the surface is ample enough to store personal items. 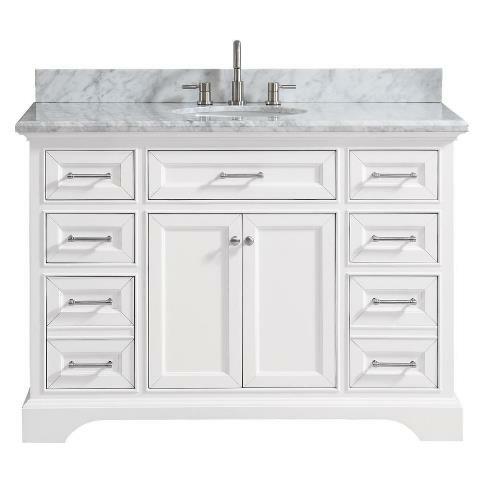 This vanity blends contemporary and traditional styles and is sure to bring a timeless touch to your home.